Whenever I visit a new city all I do is explore more and more street food. But this hot afternoon was different and inspite I craved for some street food for lunch but the heat outside pushed me to go to a closed AC space. And while passing I saw this sign and decided let’s go there. The place is called as Tapri and is in CScheme at Jaipur as a dine in cafe on the rooftop. The entire place is very very witty with a lot of quirky little things around. As if designed to make you smile. Now few of the quirky signboards from the cafe, really liked the way they have put forward what they want us to do at Tapri. A mathematical disclaimer at the billing point, the Glass that scream out loud that it’s a glass. Outside terrace space which people take it for Granted that it’s a smoking place says it’s not and even warning why should you even need to smoke. & something for the selfiestan people. May be you clicking with your phone but they charge extra for it. I am sure you must be like is it seriously ordered for lunch looks more like evening snacks menu. But since we had a heavy breakfast and I am on a diet so this was the best I could pick keeping the calories count mind. But was even surprising was that we could barely finish it. Dal Pakwaan was something that I had for the first time. It’s a dish that is created with a khakhra base with yellow dal on it and loads of finely chopped tomato and green chutney on it. Namkeen shots : these were the finest golgappa chat I ever had. 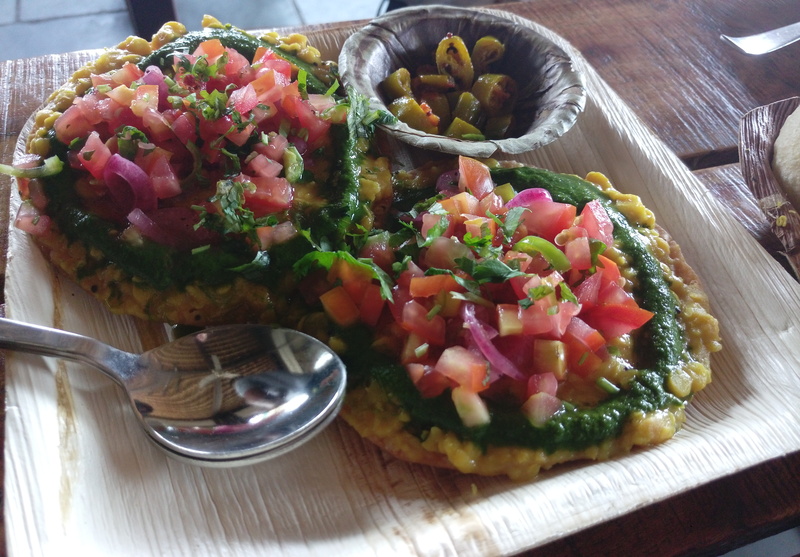 The golgappa shells were very very fine & crispy.loaded with curd, sweet & green chutney, potato cubes….. Simply yummy. Gehu Singh: this was the best Gehu recipe ever. Soaked and boiled whole wheat made into a delicious chat garnished with cut veggies and sev. Simply outstanding and very very filling. As we checked out the terrace that overlooks the Central Park. The terrace is quite spacious with lots of plants to add to the colors on the terrace and loads of cool breeze to breathe. As we checked out after the bill they got us a feedback form. Asking us to leave a little bit of us. I did that and carried a lot of Tapri with me that you went in the blog. 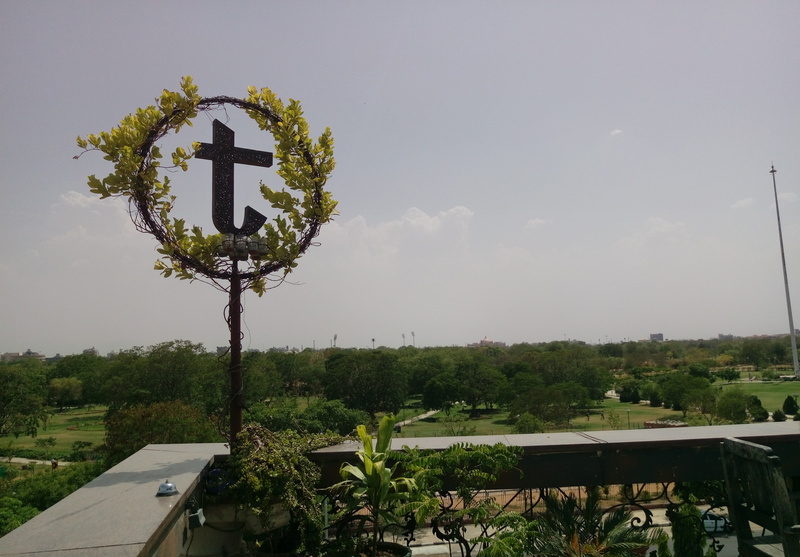 Not just that after my first Tapri experience with the 2nd In chronological order of Tapri cafe visit, I headed straight to the third and newly opened Tapri cafe at Marriott – Tapri Ashram, The tea house.